The ubiquitous QWERTY keyboard layout works well enough for ten-finger touch typing (though Dvorak proponents may disagree). But what if you're typing a text message on a mobile phone? Those fiddly little non-tactile touchscreen "keys" are impossible to touch-type on, so I have to revert to the one-finger "hunt and peck" method, which is slow. I wonder if an alternative keyboard layout would make things easier. So, my challenge here is to design a keyboard layout (two-dimensional arrangement of the 26 letters of the English alphabet) that maximizes the frequency for which adjacent letters in English words are on adjacent keys of the keyboard. So, frequent letter pairs, like T-H or A-N, should be next to each other. I will post at least one of my own answers, but will not give myself the checkmark. On a hexagonal grid or a staggered rectangular grid, where each key touches six others, all six are considered “adjacent”. On a straight rectangular grid, the four horizontally- and vertically-adjacent keys are considered fully adjacent, and diagonally-adjacent keys get half credit for being adjacent. This is calculated from my personal e-book collection. Since “adjacent” is a symmetric operator, there is no point in distinguishing, for example, the TH in “THe” and “THat” and “wiTH” from the HT in “brougHT” and “daugHTer”. So, I'm combining their stats here. Letters within a pair are arbitrarily listed in alphabetical order. Double letters (e.g., LL or EE), which would have no impact on optimizing the keyboard (since you just hit the same key twice in a row), are excluded from the calculation. All figures are rounded to the nearest 1/100 of a percent, and letter pairs whose frequency would round down to zero are excluded from this list. Thus, only 203 of the 325 possible letter pairs are represented. Please include your score in your answer. which is a slight modification to Jaap Scherphuis' submission. 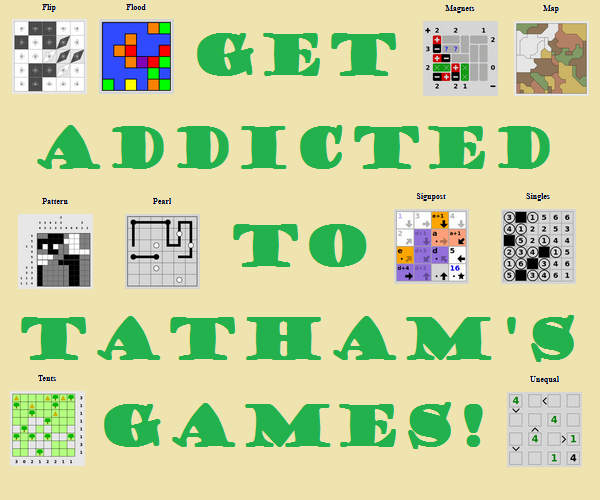 My top scores so far are: 54.76% for hexagonal grids, 51.34% for rectangular grids. I then decided to try a few more compact layouts, i.e. ones that are closer to being disc shaped. These have more neighbouring pairs so have a better chance of having a good score. I have also tried some layouts on rectangular grids. 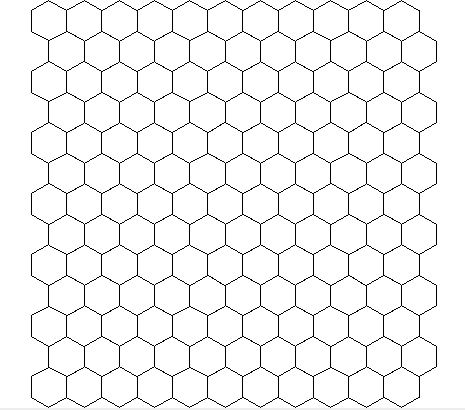 Here is the best hex layout I came up with. I started from the top of the list and tried to connect as many of the pairs as I could. This unfortunately does not result in a pretty shape and does not beat the asker's layout. Horizonally-adjacent letter pairs are EH (5.27%), HT (5.07%), ER (3.43%), AN (3.12%), OU (1.99%), NO (1.96%), IL (1.13%), AC (0.77%), DI (0.71%), BR (0.24%), MY (0.24%), MS (0.09%), GS (0.08%), JU (0.05%), KL (0.03%), TX (0.02%), GZ (0%), FQ (0%), DF (0%), VW (0%), and PV (0%). The combined frequency of these is 24.20%. /-adjacent letter pairs are DN (2.33%), FO (2.24%), ES (2.19%), AT (1.55%), RU (0.90%), IW (0.77%), AI (0.54%), GH (0.26%), EO (0.17%), CL (0.09%), MR (0.08%), BY (0.07%), LV (0.06%), QU (0.05%), HN (0.03%), CX (0.01%), TZ (0.01%), BJ (0%), and KP (0%). The combined frequency of these is 11.35%. \-adjacent letter pairs are AH (2.35%), IN (2.08%), OR (2.03%), EN (2.00%), AL (1.70%), EM (1.64%), HS (1.41%), DO (0.54%), IV (0.37%), LP (0.30%), BU (0.25%), RY (0.16%), CK (0.11%), CT (0.10%), FU (0.06%), DW (0.03%), GT (0.02%), XZ (0%), and JQ (0%). The combined frequency of these is 15.15%. Obtained by choosing a layout I liked (a trapezoid shape) and randomly swapping letters around until my score stopped improving. It uses hexagonal (or equivalent staggered-rectangular) keys. Horizonally-adjacent letter pairs are EH (5.27%), HT (5.07%), AN (3.12%), FO (2.24%), OR (2.03%), AS (1.67%), IT (1.66%), EM (1.64%), GN (0.99%), RS (0.53%), DL (0.42%), LP (0.3%), PU (0.27%), MY (0.24%), CU (0.15%), CX (0.01%), BJ (0%), BV (0%), DK (0%), KQ (0%), VZ (0%), and WZ (0%). The combined frequency of these is 25.61%. /-adjacent letter pairs are ER (3.43%), DN (2.33%), IN (2.08%), AL (1.7%), AT (1.55%), HS (1.41%), EV (1.28%), MO (1.06%), RU (0.9%), CO (0.61%), PS (0.22%), TW (0.11%), BM (0.08%), FY (0.02%), FX (0%), GK (0%), HZ (0%), and JY (0%). The combined frequency of these is 16.78%. \-adjacent letter pairs are AH (2.35%), ES (2.19%), OU (1.99%), OY (1.27%), BE (0.84%), IW (0.77%), NT (0.71%), AD (0.63%), GI (0.29%), PR (0.24%), LS (0.15%), KN (0.11%), MR (0.08%), TZ (0.01%), CF (0%), GQ (0%), HV (0%), and JM (0%). The combined frequency of these is 11.63%. Because of the staggered layout, the rule for “half-adjacent” diagonals does not apply. Total score = 25.61% + 16.78% + 11.63% = 54.02%. I'll start with the FITALY keyboard, since it was designed with a similar goal. Horizontally- and vertically-adjacent letter pairs are ER (3.43%), AH (2.35%), OR (2.03%), EN (2.0%), OU (1.99%), NO (1.96%), AL (1.7%), IT (1.66%), AT (1.55%), AE (0.98%), NT (0.71%), DO (0.54%), RS (0.53%), HW (0.5%), FI (0.44%), CH (0.43%), IV (0.37%), PS (0.22%), LY (0.18%), CT (0.1%), MU (0.1%), MP (0.09%), MR (0.08%), JU (0.05%), BS (0.04%), DG (0.03%), LW (0.01%), PX (0.01%), BX (0%), CV (0%), DJ (0%), FZ (0%), GQ (0%), JQ (0%), KW (0%), KY (0%), and VZ (0%). The combined frequency of these is 24.08%. Diagonally-adjacent letter pairs are HT (5.07%), AN (3.12%), DN (2.33%), ES (2.19%), IN (2.08%), EL (1.42%), ET (1.19%), MO (1.06%), RU (0.9%), AC (0.77%), AW (0.44%), CI (0.29%), PR (0.24%), NR (0.23%), EO (0.17%), JO (0.1%), DU (0.09%), MS (0.09%), IZ (0.04%), KL (0.03%), HL (0.01%), BP (0%), DQ (0%), FV (0%), GJ (0%), SX (0%), TV (0%), and WY (0%). The combined frequency of these is 21.86%. The overall score for the FITALY keyboard is 24.08% + 21.86% / 2 = 35.01%. Not the answer you're looking for? Browse other questions tagged optimization letters or ask your own question.